A team at the Dolan Technology Center’s Walnut Test Site is currently wrapping up phase III of the Consortium for Electric Reliability Technology Solutions (CERTS) Microgrid project and is preparing for the next. During phase III, team members demonstrated the capabilities and compatibility of synchronous generating equipment within the CERTS Microgrid concept. They are now designing and building smart load devices in partnership with the Department of Energy. 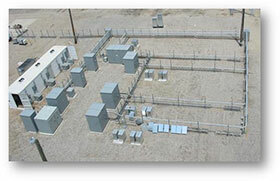 Early next year the team will engage in the receipt, installation, and commissioning of a microgrid energy storage unit. 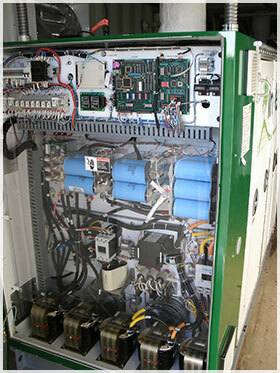 The unit, designed and built by Princeton Power, will contain CERTS compatible controls which should allow it to operate as an autonomous distributed energy resource within a microgrid. The addition of the energy storage device and smart loads will expand the capability of the CERTS Microgrid Test Bed to include two natural gas fired inverter-based co-generators, a natural gas fired synchronous generator, an energy storage device, extensive load banks including harmonic loads, motor loads, and most recently smart loads. Future projects include a photovoltaic emulator, an advanced energy management system, and an improved data collection and analysis system. The Electromagnetic Compatibility (EMC) Laboratory has been upgraded with new test equipment that not only enhances existing capabilities, but also adds two new testing options. 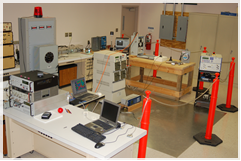 The EMC Lab can now perform IEC 61000-4-9 pulse magnetic field and IEC 61000-4-11/IEC 61000-4-29 AC/DC voltage dip and interruption immunity tests. Other enhancements include a 1 kV increase in test voltage for fast transient and surge tests, new wide bandwith digital oscilloscope, plus other optimizations. The new features will be available by the end of October of 2013. EMC compliance is not just a quality control requirement. For manufacturers it is sometimes mandatory for product acceptance into some markets.